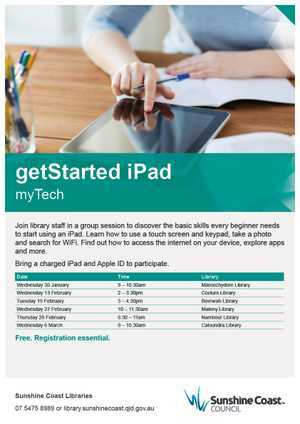 Join library staff in a group session to discover the basic skills every beginner needs to start using an iPad. Learn how to use a touch screen and keypad, take a photo and search for WiFi. Find out how to access the internet on your device, explore apps and more. Bring a charged iPad and Apple ID to participate.